After surely being hammered by jelly scrolling complaints, a tweet from @imsarathrk would have been a chance to take a bow. Instead, OnePlus support completely misunderstood. Sorry to hear that. May we ask since when did you notice this issues? Also, may we know what troubleshooting have you done so far to fix it? Sarath was just letting everyone know he liked the battery life on his OnePlus 5. @OnePlus_Support mistook this for a complaint somehow, and fired back a scripted reply asking for more information. Yikes. It's like a robot is running the account. Not robotic enough? 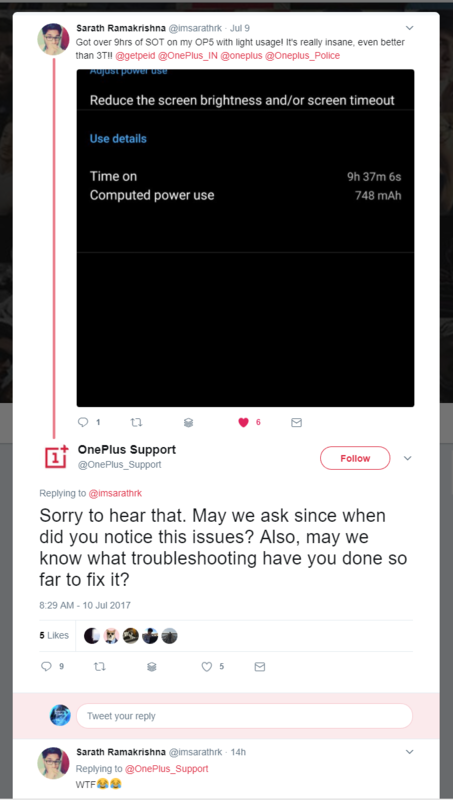 Here's another tweet from that thread with another clueless OnePlus reply. Sorry for any inconvenience caused. We've contacted our India team and a specialist will get back to you shortly for further support. So, a specialist in India will get back to Dwaipayan about the quality of OnePlus' Twitter support? Sounds like a plan. 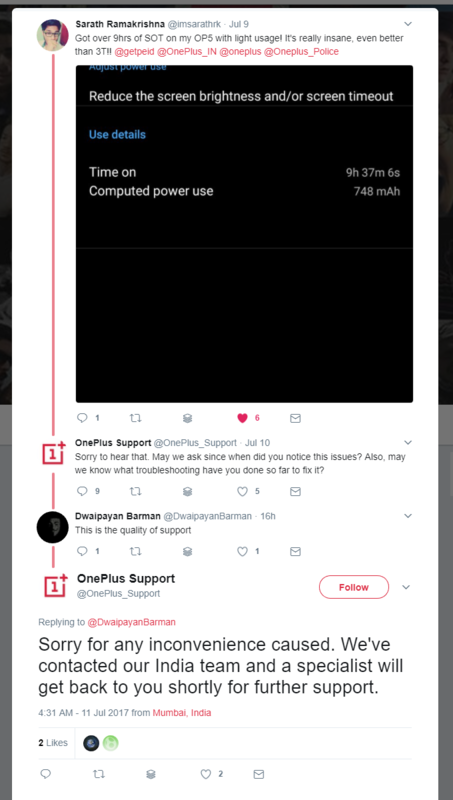 Okay, but really... if OnePlus is going to have support reps on Twitter #engaging with customers, it would be good for them to have the proper expertise to tell the difference between compliments and complaints. OnePlus appears to have deleted the original reply, so here are some screenshots.